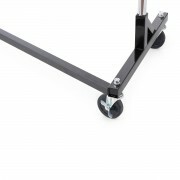 Heavy duty casters on 12 G steel base. 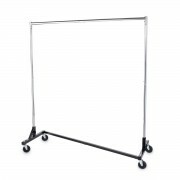 Chromed-steel posts and hang bar. 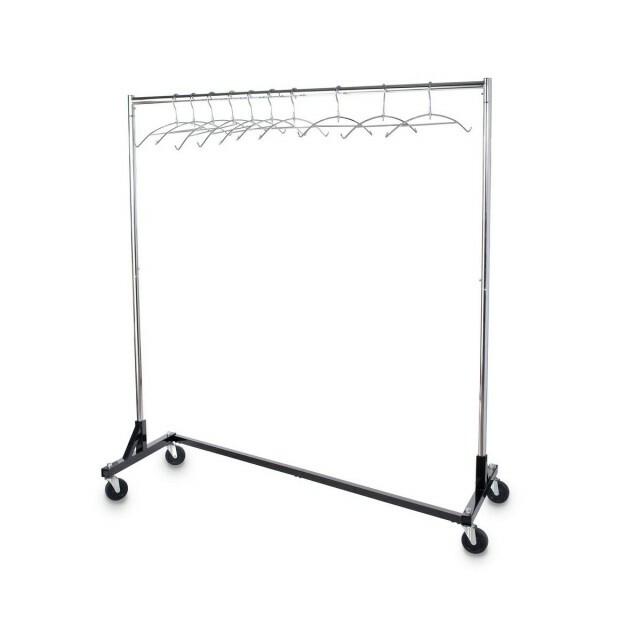 60" long x 60" tall bar allowing hanging of garments without creasing. 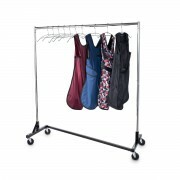 Comes with 10 21" long chromed steel hangers with anti-slip tips. 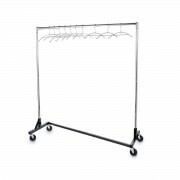 Will hold up to approximately 300 lbs or 30 garments.